Forsapi s.r.o. was founded in May 2005 as a consulting company which consult problems with experts and find optimal solutions. Forsapi s.r.o. is divided into several sections, each dealing with a separate activity. Forsapi divisions offering consultancy of nutrition and nutritional care and our publishing Nutrilitera publish books with interesting topics. On our website we will inform you about diet and nutrition recommendations. Nutriservis is a unique information and counseling system that allows you to maintain a healthy diet, a healthy way to reduce body weight or choose the correct diet in case of any disability or when planning a demanding workout. 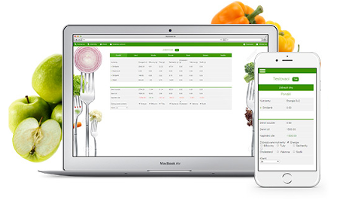 Nutriservis system includes professional consulting dieticians and software that allows you to assemble your diet or control sugar intake, fats, cholesterol, and 12 other key substances.